I believe this is the latest new trend. We all know what the H-Index is, right? I've played (nearly) 20 games 20 times, so that's mine. Here is a few thoughts about each one of them. Please make a list with your own. If I logged online plays, would be somewhere around the 2000 region. 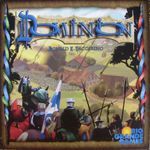 I don't mean to play so much Dominion as I do. But I really can't help it. It's beguilingly different every time, and no-one ever wants to play just once. Those magic days when you pull off mad combos or huge Vineyard decks are worth every penny I plunged into the base game and its many expansions. I'm slightly relieved that it's all over, though. Guilds was a mediocre box at best, and my custom storage solution (a nifty treasure chest originally designed - I suspect - as a make-up box). And the whines coming from the Ameritrash fanboys are getting pretty boring, too. If I logged online plays, would be somewhere around the 1500 region. Now, I'll spare you the modesty. I'm a damn good Agricola player, and after 1500 games I'd expect to be. I spent most of a bricks-and-mortar game I played last week convincing myself that I was going to lose, only to end up with a comfortable 44 points and the win. Somehow, the game has utterly avoided becoming procedural, and has bred delightful little in-jokes and silliness when the regular group get together. My wife is a little tired of 2P games, because I've fine-tuned my game too much, but she'll still play if I chuck in the X-deck and Legendairy Forest Deck. And don't forget the Family Game! I've been plugging it as a viable alternative for a long, long time, and I still think it's as worthwhile as the 'with cards' version. 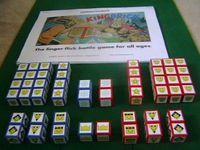 KingBrick is probably the only dexterity game I know which is long on strategy. Your opening setup and judgement of your own (and your opponent's abilities) are every bit as important as the routine flicks. But there are still those golden opportunities to make a game-saving play: the king take-out moves from well within your own half. And, like a good pool table, advanced players can even work on swerve shots, plants, cannons and jump shots. Marvellous. Remember when I said I was good at Agricola. Well, I reckon I might possibly be the world's worst Hive player. I fully agree that 35 games probably isn't enough to scratch the surface of this one, but I'm so far away from 'seeing' how to play it well, it's untrue. My wife, who is utterly incompetent at all things involving shape and space, will happily beat me seven ways until Sunday. The strategy guides, mostly involving binomial theorem and dropping mention of 'routine' (ha!) plays, have left me utterly baffled. When your game group habitually attracts six players, you're going to get a lot of time in playing this, unless you fancy endless sessions of TransAmerica or Elfenland. And our game group 'doesn't do' co-operatives, so that's Battlestar Galactica and Shadows Over Camelot out too. I like 7 Wonders, but I don't think I'll ever love it. 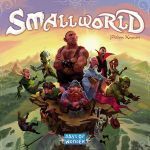 There is more randomness than the games proponents would wish to admit, and some of the Wonder powers become very dull after a few plays. But it still has a high ratio of agonising decisions to playtime, and that will continue to get it onto the table. My wife's favourite 2P game, without a doubt. And a good deal of that 32 was a memorable sequence of 15 losses to her. At one point I threatened never to play it again. Which would be harsh, because this is a terrific game of combo-set-collection and hand management. And there's a lot of nastiness thrown in too. 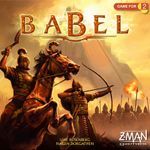 Babel has also been responsible for one of our all-time best-ever plays: a 45-minute marathon on the deck outside a pub in beautiful warm setting sunshine with a local jazz band playing indoors. Gaming doesn't come any better. I rated this a 10 until very recently, and it has to be admitted that as the skill level of the games group (excluding Tony Boydell, who is utterly hopeless at it) has gone up, it's become less fun to play and more of a desperate survival. There's also a little more luck than I'd like in the opening draw, especially if Player 1 gets Pillaging Skeletons or the like. But three solid expansions have kept this game firmly in the A-list and I won't be giving up on it any time soon. My lowest-ranked game on this list, and it ain't really going up any time soon. I'd like to think that 29 plays is plenty enough to learn at least the first third of the cards and get to grips with some of the intricacies. But that doesn't explain why half of my games - against players of any skill level - end in massive blowouts or resignations. I like chaos sometimes. And for a long time I liked the madness of this game. But it just became clear that there were far better 2P options (oh, and the game stinks with 3 or 4, of course). I owned a proper English edition of Goa back in the days when it was a certified rarity. I became pretty good at it and put my name to the FAQ, which garnered a fair number of thumbs. And I've still got it. But I can't get quite so excited about it. Some of the interaction in the auction phase is still magnificent, but the rest of the game is pretty boring solitaire, and the whole thing is starting to feel somewhat procedural: it's hardly a design that encourages imagination and creativity. Sadly destined to become one of those 'forgotten' Euros which more people should play at least once. 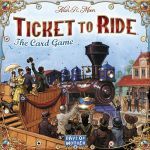 No, the theme's not exactly a big thrill, but the gameplay is so much better than Ticket To Ride that it's untrue. Amusingly, I appear to have utterly lost the strategy for winning at this in recent months, scoring a crowd-pleasing 11 points in my last game. A 10-rated game, and justifiably so. This is the auction game distilled down to all that is great: intense valuation and calculation on the fly around a stupidly simple card mechanic (the first of far too many from this designer). Plus, if you're playing properly, you can put on silly accents and make up silly names for all the pictures. This year's big climber. I've had a copy for a while, but it's only recently that the strategy has clicked with those I play with. It's become a favoured filler in the group, despite the piss-poor cardstock which is already scuffing up, having finally lost its smell. I find it difficult to understand why anyone who likes card games wouldn't enjoy this. Another game that I will shame-facedly confess to being very good at. The economic timing in St Petersburg is quite unlike that I have seen in any other game and - despite what you read on the forums - the Observatory and the Mistress Of Ceremonies are very, very beatable. Probably the only game on this list that we habitually house-rule, playing the first green round as 'out-and-back', Catan style. I actually favour the special blue buildings as a means to beating the economy. I was a little surprised to find this on the list, because I've never really found it more than an entertaining dice filler. Although, having said that, I did find it interesting enough to buy the expansion/sequel. And probably a third of the 24 plays have been adventures in matching up Roma against Roma II. I hate filling lists full of 2P games, because it looks as if all I do is stay home and play games with my wife. But the games group get through a much wider range of games, and so the 2P sessions often revisit a few key favourites. And this is definitely a key favourite. 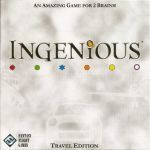 A perfect abstract using Knizia's 'most of the least' scoring, this lacks the uncontrollability of the multiplayer version and becomes a much more tense, tight and vicious affair. See above for comments about 2P games! And there are more to come. Anyone who tells you that this is Agricola-lite has not understood this game. It's much more difficult than 2P 'full' Agricola, where there is enough gamespace to pursue different strategies. In ACBaS, it soon becomes devastatingly clear that a single false move can put the game in your opponent's hands. The first expansion added plenty of legs to this, and I've high hopes for the second. Another widely-misunderstood game. This is NOT a memory game unless you're obsessive and eidetic. 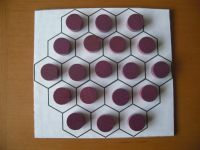 Think of it as a perfectly simple hand-management and area-control-without-areas game with just the merest smidgen of memory, and you'll be closer to the mark. And it's much better than its big brother. Glen More has had regular plays since I picked up my German copy, and it's one I find pleasantly easy to teach, despite the fact that it's patently better to know the cards well and that doesn't happen on first play. Consequently, it's had a goodly number of plays with all numbers. I added custom meeples to the game before any publisher even thought of it: my whisky barrels are taken from a 00-gauge railway stockist. 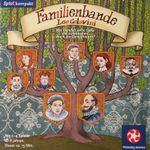 It's hard to describe the delightful lunacy that took Colovini from designing almost completely dry and themeless abstracts to this merry effort about ugly aristocrats. As if having every single card designed with a different gruesome toff wasn't enough, it's a surprisingly neat lesson in genetics and inbreeding. I'd recommend it to everyone reading, but it's surprisingly hard to get one's hands on. Shame. A grand 2-player game with plenty of twists and turns. The juggling act between money, wares and cards in hand is central to the strategy, and failing to find the right cards to facilitate that balance will inevitably be the poor player's downfall. Famiglia also joins the 2P family on this list. Coloretto is a solid filler on Friday nights. Sorry Sliders was just TOO easy to keep playing. Also the first game on this list that I no longer own - it went off in trade a year or so ago. Keyflower was a real hit last year, scales beautifully, and will get many more plays once I've got my hands on the expansion.